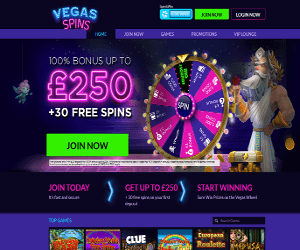 Having been developed by NextGen Gaming, Medusa slots is a 5 reel and 25 payline slot that is payable from just 25p. Themed on the snake haired woman from Greek mythology, Medusa gives you a crafty Free Spins, Bonus Features, Wild Symbols, Expanding Wilds, Respins and Multipliers. The arcade like slot game Starburst slots is based on the Starburst Wilds. The mesmerising and fast paced NetEnt game is full of vibrant colours! Although there are no Free Spins in this game, the dazzling expanding Starburst Wild Feature will make up for it. The jungle themed NetEnt slot, Jungle Spirit: Call Of The Wild is a 5 reel and 243 ways to win slot game. The game is payable from 20p and favours the Symbol Expansion Feature. With three features included, you have the Symbol Expansion Feature, Butterfly Boost Feature and Free Spins feature to boost your wins. Developed by Eyecon, this game makes your dream of living in a fantasy world come true. Unicorn Bliss has 5 reels and 25 paylines. The cute animal theme allows you to benefit from the blissful double wins and up to 400 free spins. The various symbols award a different prize each time landed. If you would like to get the full experience of the games mentioned above, all you have to do is head over to Vegas Spins. There you’ll get more top slots, and different themed games to play on! Enjoy the blissful winnings from right under your fingertips.